New York (AP) — Should Ridley Scott’s “All the Money in the World” be measured by the usual critical apparatus or with a stopwatch? If the latter, Scott’s movie wins the race, hands down. 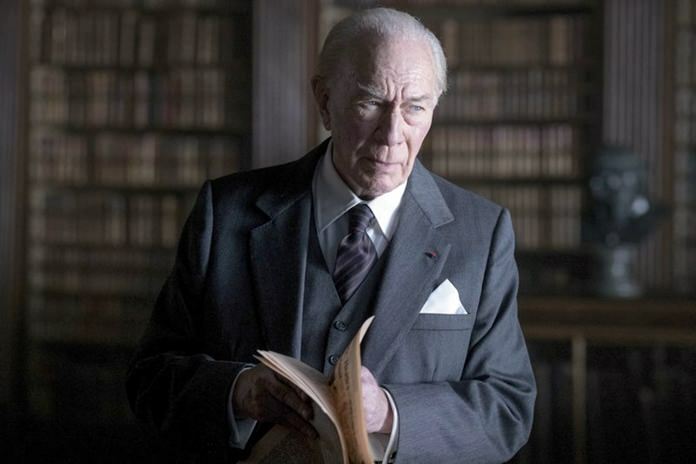 “All the Money in the World”, with remarkably few signs of haste, accomplished its unenviable task of recasting Kevin Spacey’s role with Christopher Plummer. Plummer parachuted in at short notice to shoot his nine days of work, and Scott toiled around the clock to recut and remake his own movie. Like a bank thief covering tracks and wiping fingerprints, Scott erased all trace of Spacey. That alone makes “All the Money in the World” a fascinating footnote in the larger ongoing drama of the “Me Too” reckoning. And considering the way things are going, Plummer should keep his bags packed. We may need his services again. But was it worth the trouble? “All the Money in the World,” about the 1973 kidnapping of the grandson of billionaire oil tycoon John Paul Getty (Plummer), is, for better and worse, every bit a Scott production: a solidly built, no-nonsense drama, largely without surprise. But its saving grace isn’t Plummer. It’s Michelle Williams. She plays Gail Harris, the distraught mother of the kidnapped 16-year-old “little Paul” (Charlie Plummer, no relation). When Getty refuses to pay the kidnappers’ demands of $17 million, she’s left virtually alone in seeking his release, aside from the inattentive help of Getty’s overconfident, former-CIA fixer, Fletcher Case (Mark Wahlberg). As a woman locked inside an oppressively male world, Williams’ performance — gripping and glamorous — slides in comfortably with Scott’s best female protagonists (Ripley, Thelma, Louise). “All the Money in the World” ought to have aimed more ambitiously for the complete tragedy of the Gettys, or stuck more resolutely to Gail’s perspective. Instead, it bounces erratically between its main players and loses steam every time Williams leaves the screen. At times it’s preoccupied with studying the astonishing greed of its penny-pinching Scrooge, at others with trailing the thrilling plot of Gail’s pursuit of Paul. It doesn’t necessarily follow any one character. It follows the money. Opening with a black-and-white sequence of the kidnapping in Rome, Scott’s movie continuously cuts to Paul’s travails as the prisoner of Calabrian bandits. Expecting a quick payday, they settle in the mountains of Southern Italy for months, growing increasingly impatient. Seesawing between the mafia-controlled hills of Italy and the mammoth English estate of the Getty’s, “All the Money in the World” seeks for a larger portrait of people prioritizing money over basic human decency — of putting the art of the deal above all else, you might say. When first told of the kidnapping, Getty doesn’t even look up from the stock ticker. It’s hard not to spend some of the film’s running time wondering what Spacey might have brought to the movie. I suspect his performance would have been icier, and perhaps smacked of stunt. (Spacey donned copious makeup and prosthetics to age him into the role.) Plummer, on the other hand, quite naturally feasts on the part, fully embodying Getty’s privilege and power. At 88, Plummer has spent much of his superlative late period playing King Lears presiding over the ends of their empires. Give him a mansion and a backstory, and he’ll go to town (just as he did in the World War II thriller “The Exception”). But the miserly Getty of “All the Money in the World,” so totally focused on his fortune, makes the Grinch look like a philanthropist. Aside from the audaciousness of its last-minute face-lift, “All the Money in the World” is fairly routine. If Scott was replacing stars, he might as well have yanked Wahlberg while he was at it. The story doesn’t suit the action star’s considerable gifts, and he’s out of place from the start. Still, the extreme measures taken by Scott are fitting. The restless director is driven by an obsession for work not so different than Getty’s. Only when a crisis took his movie hostage, Scott immediately intervened at an estimated cost of $8 million. The lesson holds: Just pay the ransom. “All the Money in the World,” a Sony Pictures release, is rated R by the Motion Picture Association of America for “language, some violence, disturbing images and brief drug content.” Running time: 132 minutes. Two and a half stars out of four.